Hi guys! 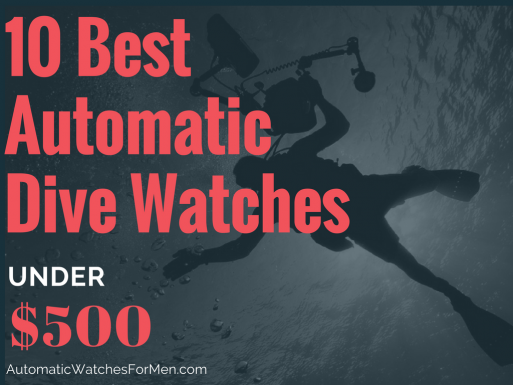 Today, I’m going to cover the 10 Best Automatic Dive Watches under $500 that I’ve reviewed so far. Dive watches are by far, the most versatile type of watch that men can buy. It’s rugged and masculine for outdoor or diving use, while at the same time can still look dressy for office, casual and even black tie events. A simple strap change is what it’s needed to do this. 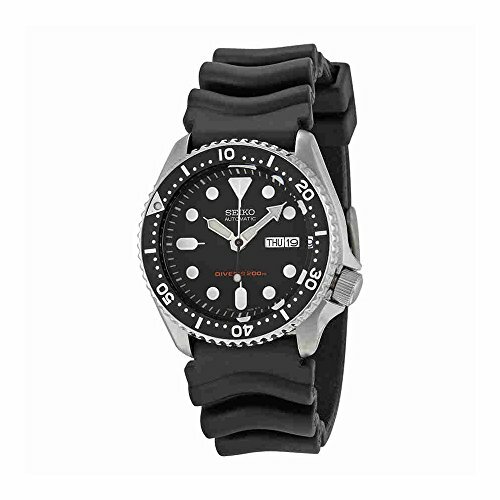 Which is why in my opinion, if I have limited money to buy only ONE watch, I’ll get one of these dive watches. How about automatic watches? Sure, it’s more expensive than quartz but the beauty of automatic watches lie in the fact that it’s more refined and has the actual moving mechanical part, devoid of any electronic stuffs around us (Read: boring!). Not to mention automatic watches have that characteristic sweeping second hand and does not need a battery! Not All Automatic Dive Watches Are Expensive! But people has this misconception that automatic dive watches are very expensive. Sure, those Omega Seamaster and Rolex Submariner is darn expensive, but some brands do produce cheap automatic dive watches (hint:Japan). And that’s the whole reason why I’m writing this – To show people that automatic dive watches can actually be had for less than 500 bucks. It’s still quite a substantial money to pay for a watch but in return, we are getting a unique timepiece that’s full of character unlike those billions quartz watches out there. And being a quality dive watch, we are fully confident that these watches will be robust, versatile enough to be used everywhere and looks great on our wrist. I’ve worn my Sumo for lots of things (swimming, gym, jogging, labor work) and never once it failed me. That’s only possible since it’s a dive watch – I’d never do such things with a dressy watch lol! Without further ado, let’s find out the my list of the 10 Best Automatic Dive Watches Under $500. 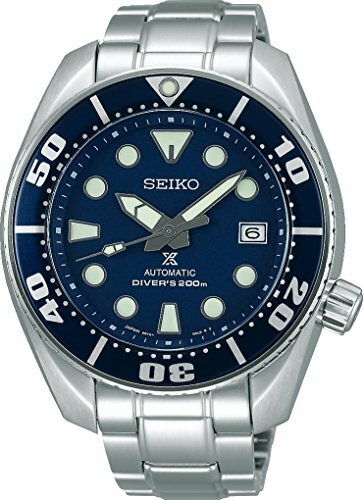 The best automatic diver watch to get (if you don’t mind to spend $500) is the Seiko Sumo. The 44mm diameter watch is just fantastic to look and to wear. What’s making it more special is the fact that I’ve own this watch for 3 years and love it (a bit of bias there lol!). 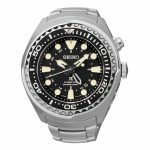 The Seiko Sumo is a stainless steel watch with high quality craftsmanship. It has a unique extended case that covers the unidirectional rotating bezel at its sides which is totally out of the normal submariner-like design of dive watches out there. The curved lug design also make it comfortable to wear. Specification wise, it’s the best $500 that you can spend if you want to buy a quality automatic and dive watch. The watch runs on Seiko’s 6R15 automatic movement, their workhorse movement which is quite accurate for a non-chronometer automatic. In addition, the movement is robust and has a good 50 hours power reserve. Apart from that, it’s also an ISO 6425 diver’s watch compliant, with anti-magnetic case and screw-down crown. The 200 m water resistance rating ensures that it can be used for any sports activities just fine. The next watch is the Seiko Baby Tuna. 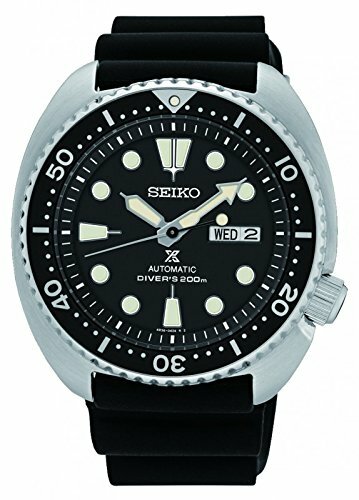 This is a toned-down version of the very popular and distictive Seiko Tuna – Seiko’s dive watch with the shrouded case. Unlike the original Tuna, this Baby Tuna is slightly smaller (at 47 mm diameter) and features the cheaper 4R36 automatic movement – whereas the Tuna sports higher grade movements. But make no mistake, this Baby Tuna is still a great dive watch. It has 200 m water resistance, and ISO 6425 diver’s watch standard, screw down crown and the shroud will do well to protect the watch from impact. Another distinctive and unique watch that only Seiko can produce: the Seiko Turtle SRP777. Why the turtle nickname? It’s because of the wide cushion case design that make it look to have a turtle shell looking from above. I’m not sure whether the turtle case enhances its performance as a diver’s watch, but the specification of it is good enough for most divers. Average 45 mm diameter, ISO 6425 rated, 200 m water resistance, Seiko’s LumiBrite lume and the robust 4R36 automatic movement. It’s definitely a good spin of the normal submariner-like dive watches. The Seiko Monster is without a doubt a very unique watch. I mean, just look at that dial and would understand why I said that. The oversized markers with triangle shape that looks just like fangs are just so distinctive that I doubt you’ll ever forget once seen. Because of this, the watch is somewhat divisive – you guys will either love it because of its rugged style or hate it because it looks so weird lol! But inside the watch is a real workhorse 4R36 automatic movement, the same movement that powers the Seiko Turtle and Baby Tuna above. It’s also an ISO rated diver with 200 m water resistance. And those big markers will surely give a satisfying lume in the dark. Next up on the list is the Orient Ray II. 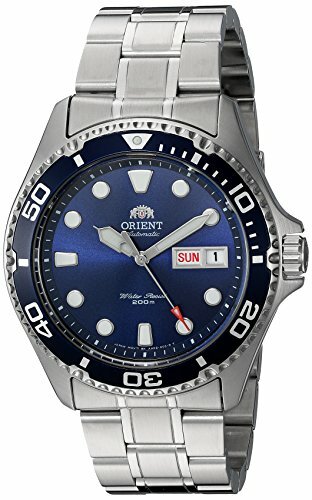 It’s an upgraded version of the famous Orient Ray with the newer F6922 caliber automatic movement that can hacks and manual wind. Another major upgrade is the omission of the pusher at the top right to change the day display. It has a traditional dive watch look with the circular markers. The usage of day and date display is very useful for those, especially for those that work in offices and need constant reminder of date/day for their work. Having a 200 m water resistance, screw down crown, unidirectional rotating bezel and luminous hands/markers make the watch a good dive watch. It’s not an ISO rated diver though, so the Ray II might not be the best option for frequent and serious divers. 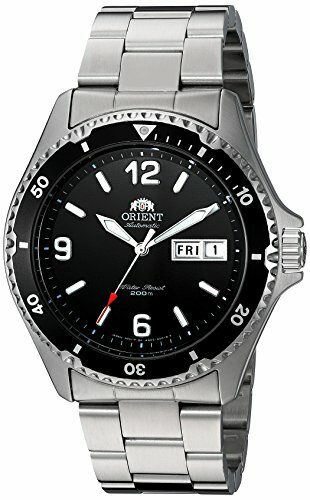 But for those that want a cheap automatic dive watch that also looks great, then the Orient Ray II fits the bill nicely. The Orient Mako II is the close relative to the Ray II above (in fact they are like non-identical twins lol!). The specification of both watches are totally the same. What’s different is the Mako II has the explorer type of markers – number markers for 6,9 and 12; index markers for the others. This gives the watch a unique look. Some people prefer this type of markers since it’s easy to not get confused when telling the time, as opposed to the all index markers in the Ray II. 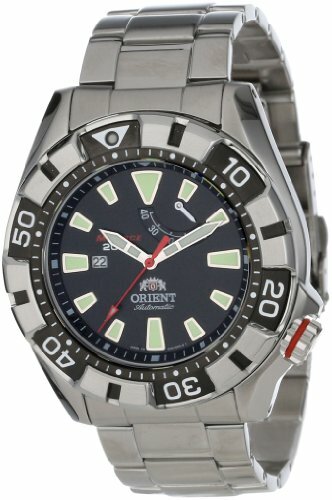 The next one is Orient M-Force, specifically the SEL03001B0 model. It’s a watch full of great specs: sapphire crystal, higher grade Orient 40N5A movement, power reserve indicator, ISO 6425 compliance, screw down crown, anti-magnetic and shock resistant. It’s totally a watch meant for the actual diving. And the rugged look with textured bezel just make it more unique and manly. The best things about the watch is its anti-magnetic and shock resistant case. These features make the watch sturdy as hell. Not to forget, the famous Seiko SKX007. Any automatic dive watch list without it is incomplete. The SKX007 is one of the watches that has gained a somewhat cult among Seiko fans. 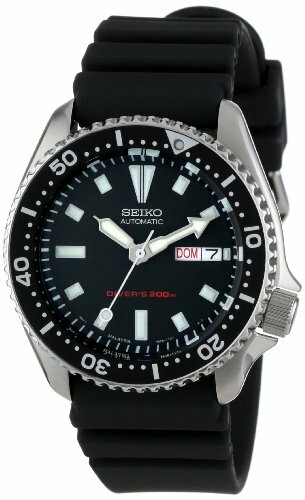 The watch has been in market for close to 2 decades (if I’m not mistaken) and Seiko still continues to manufacture them. That tells a lot about the popularity and demand of it. With a 42 mm diameter that is suitable for all wrist sizes, it’s also a 200 m water resistant and ISO 6425 dive watch compliant. 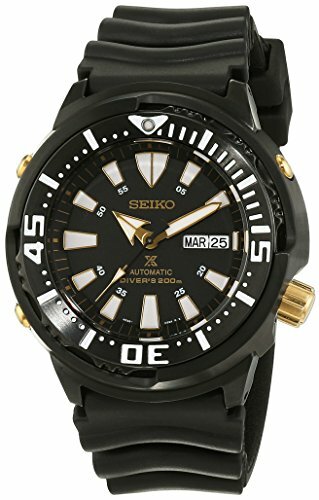 The look is very unique and is the best evidence on how Seiko can take a normal submariner-like dive watch design and make it their own. Perhaps the only flaw with the SKX007 is the outdated movement: the 7S26 automatic movement is non-hacking and non-manual winding. But make no mistake, this is the movement that has been proven time and again to be very robust and require less maintenance. The Seiko SKX013 is the little brother of the SKX007 with a smaller 38mm diameter case. I’ve lumped them together here since both of them look exactly alike (apart from some minor differences). Another watch that’s usually spoken in the same breath with the SKX007 is the SKX009. They are both equally the same watch inside. 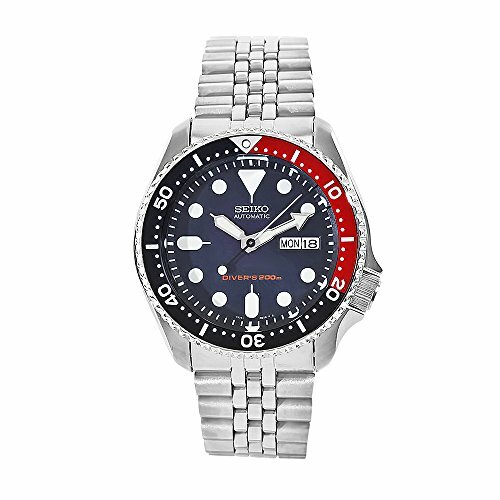 What sets them apart is the blue dial and blue/red pepsi bezel of the SKX009 which make it look uniquely cool and different than the other black dive watches. If you like blue or just want a unique looking watch but still look handsome, then this SKX009 is the one for you. Last but not least is the Seiko SKX173, another watch with the same specification as the SKX007. But what sets it apart is the rectangular markers on the SKX173 versus the circular markers in the other watch. You guys can go to my review to know the detail comparison of both watches. I find the rectangular markers to be more fitting with the watch, especially since it complements the minute markings of the dial edge and bezel. For an alternative to the great SKX007, the Seiko SKX173 is the watch to get. There you have it guys. This is my 10 Best Automatic Dive Watches list. If you guys have any other watches that you feel should be in it, let me know. I guess i would have included the citizen promaster ny0040 in the list, notably the one with the blue dial. And maybe also the Squale 20 atmos that can still be found for 510 bucks. What about the vostok amphibia serie as well ? Hi Thierry. Many thanks for the suggestions of these great watches! I’ll take them into consideration in the update of this list. i cant see the link for seiko orange monster in ur ad. how will i get it in India, Maharashtra, Pune city. Hi there. The link for the Seiko Monster Orange is included in my in-depth review of the Monster (click here to go to the review). 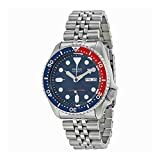 Or you can search for Seiko SRP309 in Amazon. I’m not sure whether Amazon do ships to India or not but you can try to contact the seller. If the don’t you can always find the same watch for sale in Ebay or any other online websites. Hope this helps buddy. Let me know how it work out ya. A good watch can’t be beat. Especially, a versatile watch that can be worn during rugged times or formal times. I think these watches are beautiful. I’m not sure which watch I like better. I think I would need to think about it. After all, a good watch purchase needs to be considered. Never know when you might rely on your watch. Hi Charles. You’re right there – these watches are absolutely phenomenal. Especially with their affordable prices. It’s just too much value for money we’re getting here. Thanks for the review. 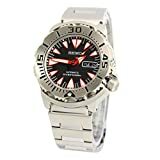 I found your list of dive watches to be informative. Can I ask you about care? 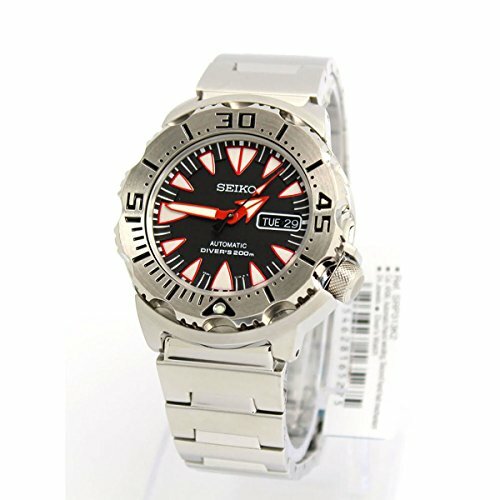 I’m really curious what care is needed to maintain a dive watch after the purchase has been made. Do you only wear the watch while diving? If you wear the watch, besides diving, will it wear out faster? Hi Scot. I’m glad that my article is beneficial to you. I’ll try to answer your questions as complete as possible. Taking care of these dive watches is the same with all other watches. Don’t shake it violently, drop it, put under extreme temperature and avoid from placing next to strong magnets. And most importantly, always keep the screw down crown locked to avoid any moisture seepage into the watch. (Read also my article on the 5 common problems of automatic watches to learn more about this). Well, you can wear these dive watches to whenever you want Scot. It’s not restricted to diving only. It’s more on the style that you want, and I can safely say dive watches looks great with casual outfit and events. Let me know if you have further questions Scot. Isaac, you’ve outdone yourself again! The 10 best list is so accurately ranked that it gives the reader adequate information on what to buy dependent on his/her preferences. 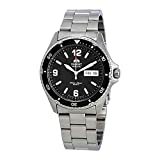 I’ve owned Japanese watches (mechanical and quartz) from these aforementioned manufacturers and have concluded that their quality and features are comparable to the best (albeit more expensive) Swiss watches! I know you are constrained by the price, but if you can come up with a best list (price be damned!) of say top 50 watches (movement be damned! ), then in my book, you certainly are the watch guru of this century for that coverage. 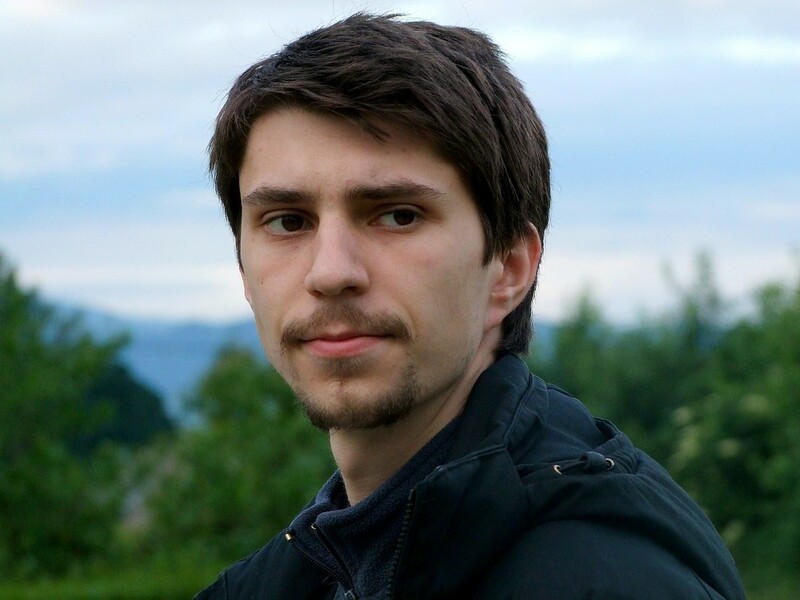 I appreciate your work and have spread the word about your site to friends. 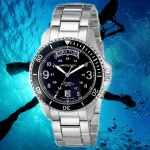 Citizen and Casio are missing from this diver’s list, understandable given the parameters… but I am betting the house and my Land Rover, that my FROGMAN – with its accuracy and indestructibility will belong to any best list of all time!!! hehehe… stupendous job Isaac! Yep, these Japanese manufacturers do give the Swiss a run for their money. Their watches just scream value for money. I only wish to send out the facts of these watches so that anyone looking to buy them can get the complete picture. But as you’ve pointed out, the best watch will ultimately depends on the owner’s preference and usage. As for Citizen and Casio, as far as I know, both only produces quartz dive watches so I had to exclude them from the list… But if this was a list about the best dive watches under $500, then it’s going to be a fierce competition! Ah.. the Frogman.. I’d love to write a review of the indestructible watch soon. Also, more best lists are coming out, so stay tuned buddy.